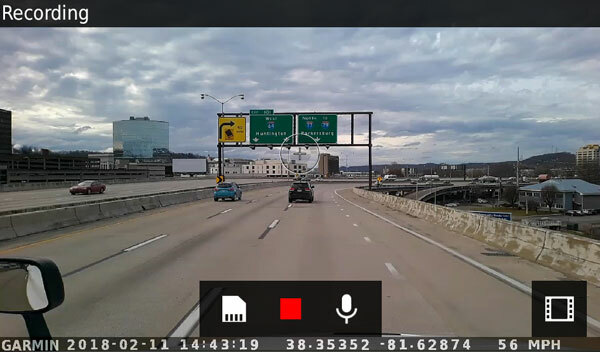 In addition to recording, the dash cam also enables advanced driver assistance features such as forward collision and lane departure warnings¹. 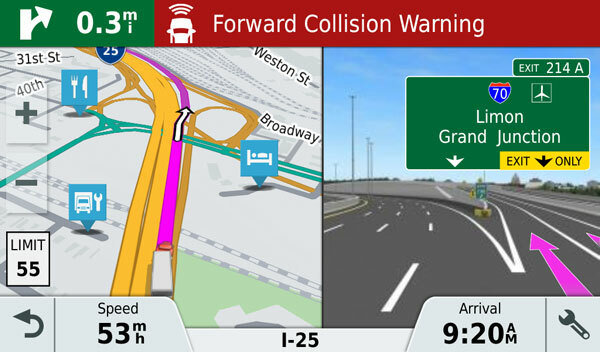 Forward collision warnings alert when you are driving too closely to the vehicle ahead, and lane departure warnings are provided if you drift off-road or cross lanes into oncoming traffic. 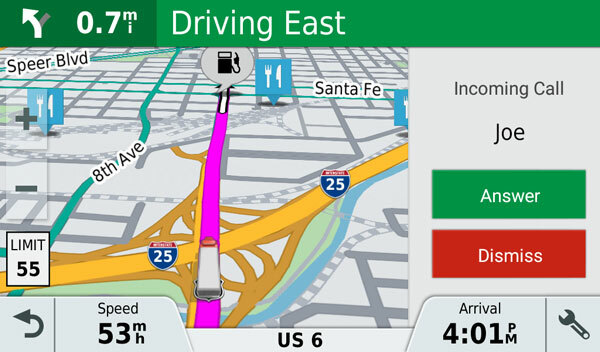 Along with its camera-enabled features, the dēzlCam 785 LMT-S truck navigator also includes preloaded maps that detail truck-related route warnings — such as bridge heights, sharp curves, steep grades and more — for most major roads and highways. 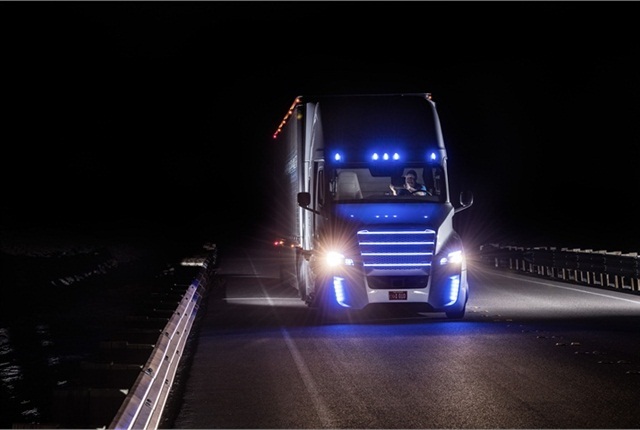 Simply enter your vehicle profile information (customizable by height, weight, length, width and hazardous materials) to find truck-preferred routes suitable for the size and weight of your truck². 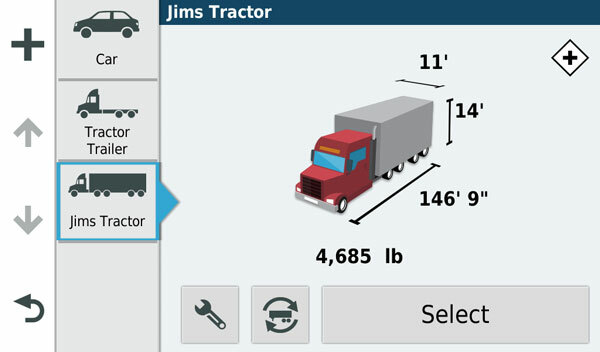 For added convenience, the Simple Truck Profile lets you easily swap trailer sizes with the touch of a button. 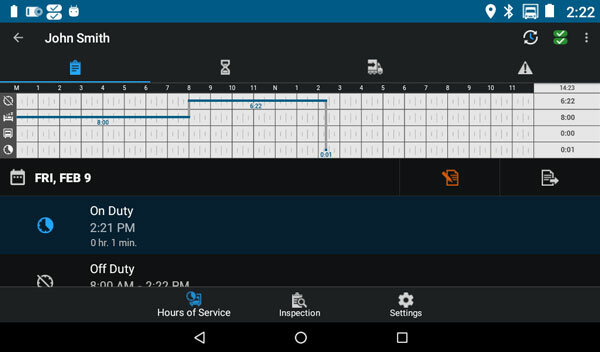 To see what’s happening on the road ahead, our free Smartphone Link mobile app lets you connect your dēzlCam 785 LMT-S with your iPhone® or Android™ smartphone. When paired, your dēzlCam can access real-time information² such as traffic and weather information. The convenience of voice-activated navigation lets you control your dēzlCam 785 LMT-S truck navigator with simple voice commands, so your hands can stay on the wheel — while your eyes remain safely focused on the road. 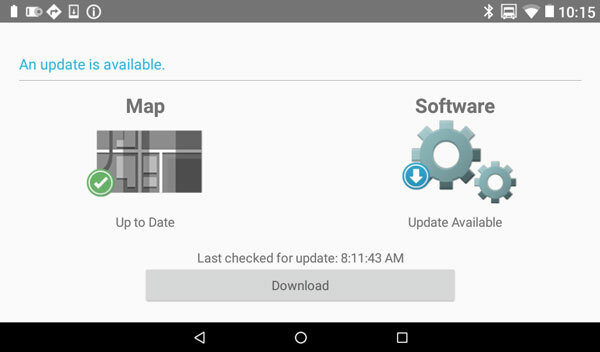 It’s easy to keep your maps and software up to date because dēzlCam 785 LMT-S features built-in Wi-Fi. When a new update is available and you’re connected to a Wi-Fi network, you’ll automatically receive an on-screen notification. 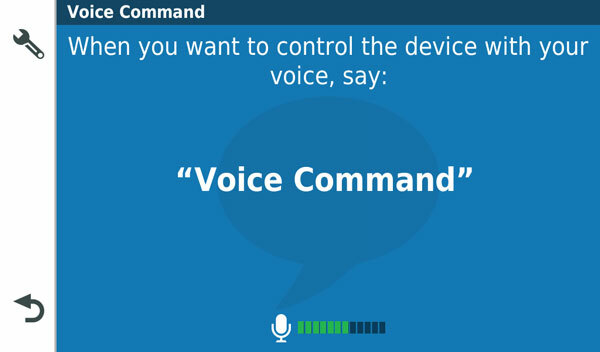 Then, you simply use the Wi-Fi on-screen button to update your data without needing to plug your dēzlCam into a computer. You’ll be ready to hit the road again in no time. Sync a Bluetooth-enabled smartphone or tablet to dēzlCam 785 LMT-S for wireless calling through its integrated microphone and speaker. Stow your phone in your pocket or console, and enjoy the benefit of hands-free calling without diverting your attention from the road. You can also receive customizable smart notifications³ for calls, texts, app alerts and more, which appear right on your navigation display. dēzlCam 785 LMT-S is also compatible with the subscription-free Garmin eLog™ compliant ELD (sold separately), which automatically tracks and records Hours of Service4 (HOS). You can easily view remaining hours, duty status and more right on your navigator’s display — with no smartphone or tablet needed. 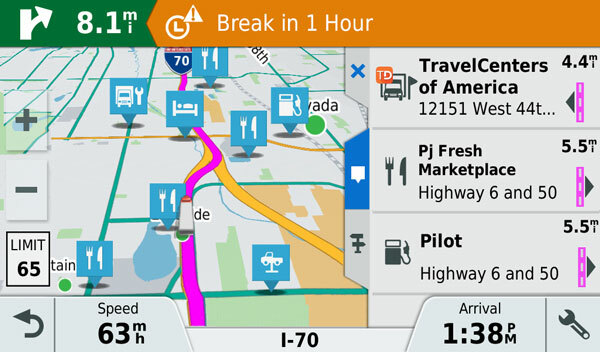 To simplify life on the road, dēzlCam 785 LMT-S provides easy break planning with timely notifications that help make the most of each stop. Locate points of interest that professional truckers care about — such as food, fuel, rest areas, showers, lodging, ATMs, Wi-Fi and more. Need to park it somewhere? dēzlCam 785 LMT-S is also equipped with truck parking data that helps you find available 18-wheeler parking spaces at truck stops and rest stops. If the unexpected happens, the dēzlCam navigator’s Truck & Trailer Services directory lists more than 30,000 truck repair and service locations in the U.S. and Canada, including those offering after-hours road service. 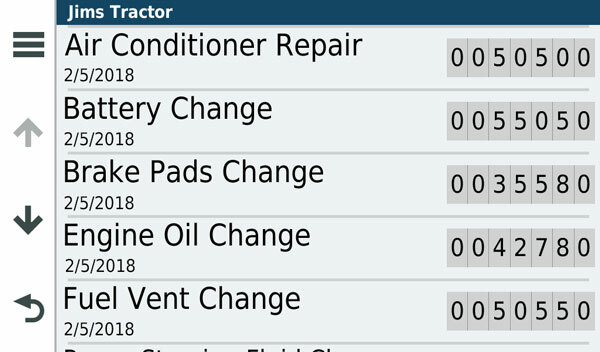 dēzlCam 785 LMT-S also has an included Service History Log so you can record the dates and type of service performed. Conveniently keep track of tire mileage, tire pressure, oil changes, tire changes and more. dēzlCam 785 LMT-S comes preloaded with a simple truck monitoring solution² that lets fleet operators easily track drivers and send communications, such as a text message containing a delivery address. Your driver can select the address from within the text message and seamlessly route to the destination. 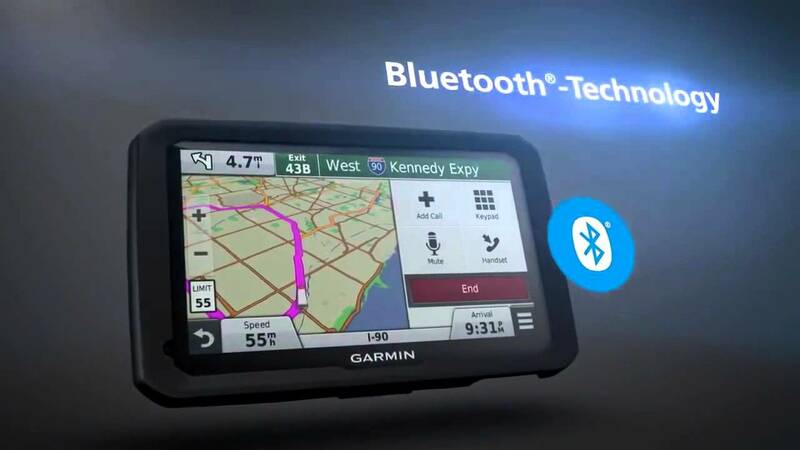 See what’s behind your truck as you move in reverse by adding a Garmin backup camera (sold separately). The dēzlCam 785 LMT-S truck navigator is compatible with the Garmin BC™ 35 wireless backup camera. 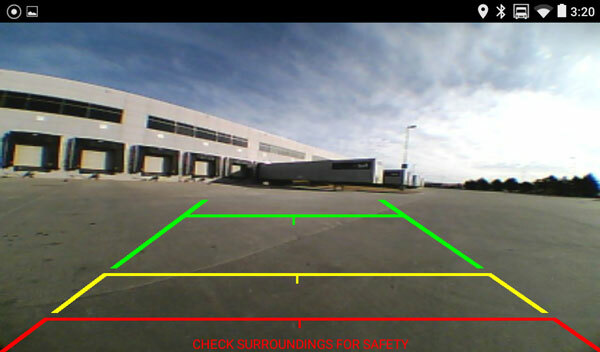 When paired, dēzlCam shows transmitted footage, right on its navigation display. The navigator includes detailed maps of North America5, millions of Foursquare® POIs and new TripAdvisor® ratings for restaurants, hotels, and attractions along a route or near a destination. In addition to its detailed mapping and big screen that can be easily seen across your cab, dēzlCam 785 LMT-S comes equipped with extra-powerful speakers that deliver spoken turn-by-turn directions you can hear loud and clear, even over road noise. 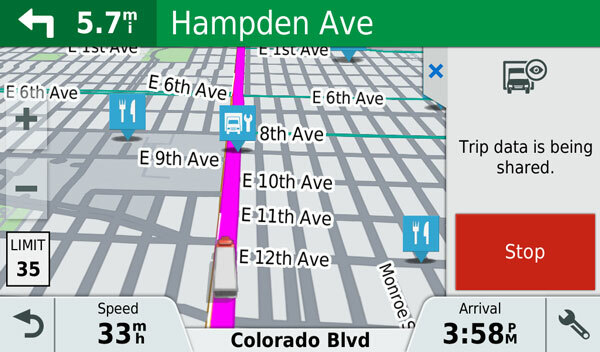 As you drive, Active Lane Guidance provides voice prompts and brightly colored arrows on the display to indicate the proper lane needed for your next turn or exit. 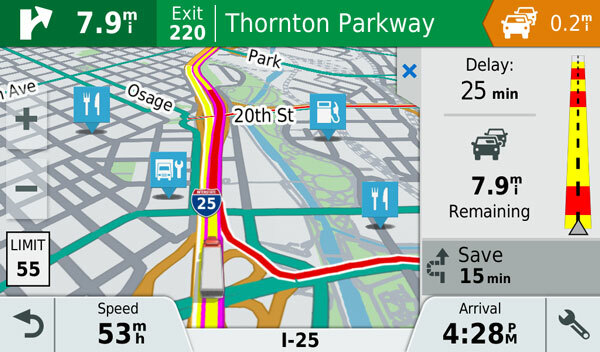 Full color photoReal junction view displays realistic graphics of upcoming exits to ease navigation through complex interchanges. Plus, Bird’s Eye junction view offers a detailed view of interchanges, looking down as if from overhead. The dēzlCam navigation screen also displays your current speed, the posted speed limit, the highway or street you’re driving on and your expected arrival time at your destination.